According to a special Mastercard Shopping Behavior Study released recently, e-commerce is finally making its mark in the Middle East, and how. The UAE leads the table with just above 50% of consumers reporting that they had used an e-commerce platform. With around 70% of the UAE's population connected to the internet, and with almost 75% with smartphones, that is no surprise. Saudi Arabia and Qatar are followers on the leader board with nearly 48% saying they have transacted online. The study was based on a survey of 3000 people. 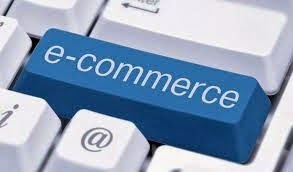 Areas where people use e-commerce include shopping for air tickets and other travel-oriented services, DVDs, CDs and books, clothing and accessories and food items. These have always been e-commerce favorites – anywhere in the world. Shopping transactions via mobile phones are also expected to grow strongly in the region, increasing by almost 20% in the next few years. That, again is not surprising with the smartphone-in-wallet ratios climbing steeply every month. Telcos are now tempting consumers with bundled data+handset offers, and this only means that there will be sharp increases in what we call m-commerce (e-commerce via mobile). What emerges as good news for the local e-commerce platforms is that more than 50% of those surveyed say that they prefer to shop from local websites rather than international platforms. Hello souq.com, not so happy amazon... Having said that amazon and ebay are still 3 and 4 on the top 5 list of shopping destinations in the region according to Paypal. Earlier, those of us in the advertising, marketing and media industries have always side-stepped e-commerce citing reasons such as lack of consumer confidence in security, lack of access to information on products sold and delivery issues. That perception has changed. Paypal tells us that the e-commerce market is set to grow from US $11.2 billion today to US $15 billion by 2015 – with over 30 million people in the region now shopping online. Speaking of Paypal, it is rather interesting to note that Cash on Delivery corners 80% of e-commerce shopping, with Payment Cards second at 15% and Paypal at 5%. Regionally, Paypal predict a growth to cornering 15% of this share by 2015. But COD (Cash at the Door) being king so far, it still points to two things – fear of online monetary transacting, and the need for checking the product at delivery or that tactile feel. “The steady growth of online shopping trends in the UAE sheds light on the priorities of the technology-savvy new age consumer, who now enjoys the convenience, speed, value for money and safety of their transactions while shopping online,” added Oliver. What will be crucial for Middle East e-commerce platforms to succeed in the future is to make the user experience both exciting and value-adding at the same time. Many of the local sites pay very little attention to usability, and UX and UI are greek to them. If I were to develop a whole new platform, that's where I would start. Keeping the experience simple, visually enticing and rewarding, clean, clear and informative – and memorable. Making one come back and buy again, and again. 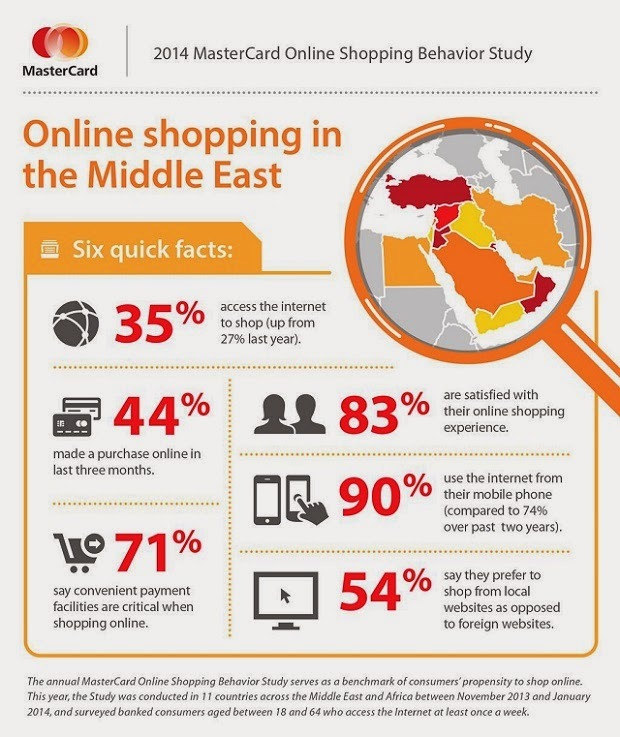 How does this change the Middle East shopping landscape? Are brands going to jump on and perhaps open up their own stores online offering Direct-to-Customer benefits of lower prices and assured quality? Are major aggregator online retailers going to increase their product spectrum? Is it going to be a local rather than global game? We're not quite sure yet. And we'll deliver that news to you as and when it happens. It will be Cash on Delivery, though. Just to add to your thoughts on Usability and UX in ecommerce here. I am sorry to say but most sites here look like a badly made pizza. They are so cluttered that even the most advanced users would get lost in it. Most sites here lack character, they lack human touch that would make the user feel at ease. The user here is much more mature than most of us think. They are buying on international sites and spending alright. It's up to the regional ecommerce players to bite the bullet and accept that they are yet to go a far distance when it comes to even basic usability practices. I will give few examples here. 1 - One of the well known retailer here has a ecommerce site that asks you fill out 21 fields form if you want to buy anything from it. 2 - The most popular ecommerce store has a homepage which scrolls 8 folds. 3 - Only 30 % of the sites here have guest checkout option. In fact these things have led us to carry out a full ecommerce usability research which is underway at RBBi currently. Will keep you posted on it. Middle Eastern advertising agency really helped me in my research. It's exciting to stumble with this kind of content. We have a weekly newsletter about eCommerce where we send the best content we can find on the web. Check it out!